Whilst this tree takes pride of place for all to see in Dove-Myer Robinson Park, the real attributes of this grand old pohutukawa remain hidden by its own immense canopy until those curious enough step inside to take a closer look. The tree is thought to have been planted between 1850 and 1860 (Burstall, 1971) or more precisely 1853 (Simpson, 2005) although firm evidence of this has not yet come to light. Further uncertainty exists as to whom may have planted it but the contenders are thought by some to be either the Hon. William Swainson, Robert Gillies or Sir John Logan Campbell (Burstall, 1971), all former residents of land later acquired by the city to form this park in 1914 (Auckland Star, 1914). “With his own axe he cut down the scrub and hewed out paths along the edge of the cliff from one side round to the other. He planted macrocarpa, Pinus insignis, and other shade trees, and here and there left native trees to themselves” (Auckland Star, 1912). 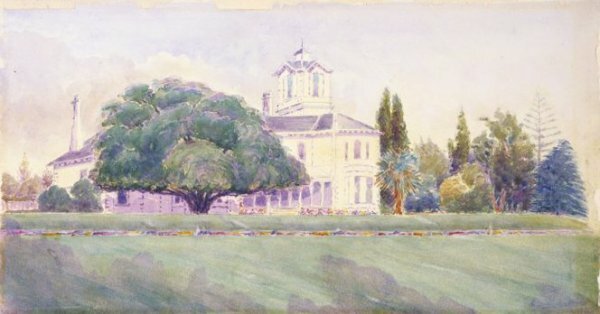 The true origins of the tree may remain lost to time and continue to be open to speculation but certainly by 1917, as an Arthur Langden painting portrays, the tree had developed into a substantial specimen by then (Alexander Turnbull Library). 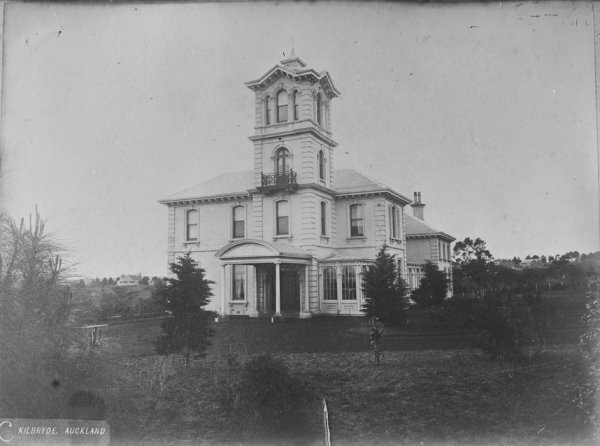 The grand old homestead was demolished when much of the cliff at Campbell's Point (as headland was formerly known) was carved away to construct the new main trunk railway link through the eastern suburbs, Tamaki Drive, and to provide fill for the harbour reclamations that took place in the late 1920s (Timespanner). The remainder of the Gillies, Campbell and Swainson estates' was named collectively as Parnell Park (NZ Herald 1924) and in 1991 was re-named Dove-Myer Robinson Park. Many people still know the area as the Parnell Rose Gardens. 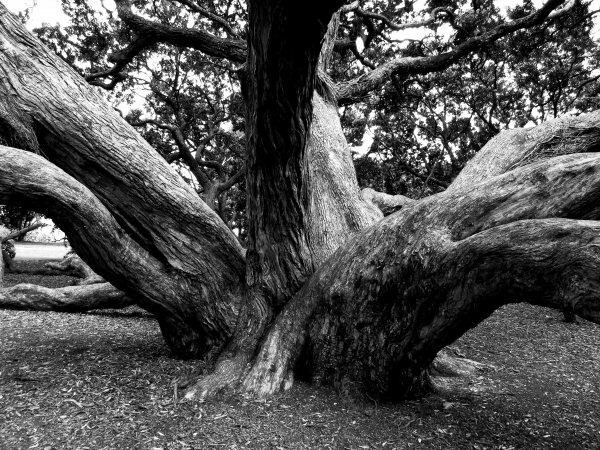 So in the end, we may not know who or even if the pohutukawa was planted by any of the first settlers at Campbell’s Point, but what is certain is that this remarkable tree was valued by all those that have lived here over the past century and a half, as they all saw fit to ensure it was well cared for to become the treasure that it is today (Cadwallader 2014). Acknowledgement: The author appreciates the assistance of Louise Beaumont and John Adam in the research undertaken for this article. 1) Burstall, S.W. (1971) NZFRI, Historic and Notable Trees of New Zealand: Northland and Auckland. Report No. 16 (unpublished), pg. 32. 2) Simpson, P. (2005) Pohutukawa and Rata: New Zealand's iron hearted trees, p. 207. 3) An Historic Spot, Auckland Star, 23 December 1914, p. 2. 5) 'Kilbryde', Image (1885). Sir George Grey Special collections Auckland Libraries, 4-461. 6) The Father of Auckland, Auckland Star, 22 June 1912, p. 5. 7) Haylock, Arthur Lagden, 1860-1948: Logan Campbell's home in Parnell Park, Auckland 1917. Ref: B-061-011. Alexander Turnbull Library. 8) Parnell Park. New Zealand Herald, 23 August 1924, p. 11. 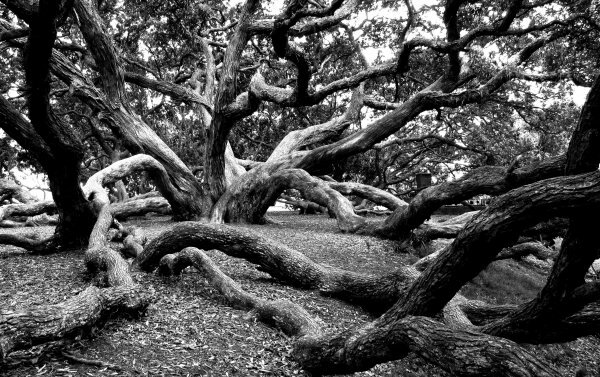 A sprawling tree resting on the ground in many places. 23 Oct 2014 Cadwallader, B.G. 23 Nov 1970 Burstall, S.W. In the main lawn to the north of the car park.